Never notice that there are 2 Soya Sauce Chicken Noodle house along Upper Cross Street until I visited Chiew Kee Noodle House that day. 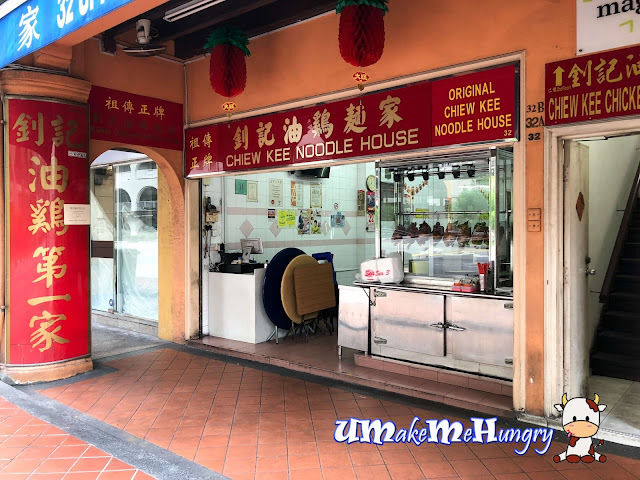 I have always patronized Chew Kee and have never knew Original Chiew Kee Noodle House is just located 100 metres away from each other. 2 similar shops like this in the same row was quite an usual sight and straight away it gave me a thought that there must be some conflicts in the family that lead to this. 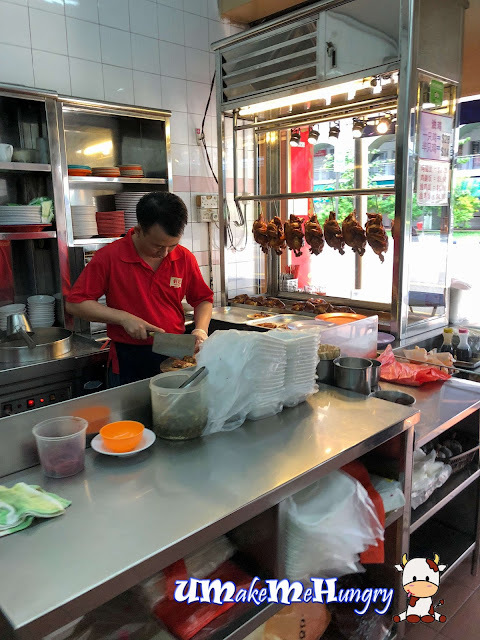 It seems like Chiew Kee Noodle House is more quiet among the staff while the other shop is more rowdy in the sense that the family members communicate loudly in cantonese across the coffeeshop. We were their first customer of the day and seats was ample. There were notices that pasted on the wall mentioning that the tables will be shared in the event that there was not enough seating in the coffeeshop. Very well seasoned plate of soy sauce chicken whereby meat was juicy and tender. 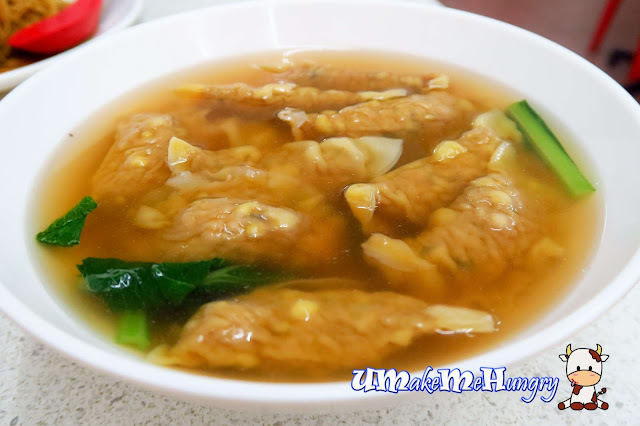 Simply love the perfection of the moist chicken with its thin layer of soy infused chicken skin. Though the generous savory pool of soy sauce may look abit overpowering here but this soy sauce actually gave a subtle sweetness to the meat. Using a secret blend of herbs, spices with soya sauce achiving such wonderful standard. We order a half chicken to share among 3 of us instead so we can each order individual bowl of plain noodles. Noodles were light and springy, comes with some leafy greens, soaking up with their light Soy Sauce, flavoring the plain noodles. 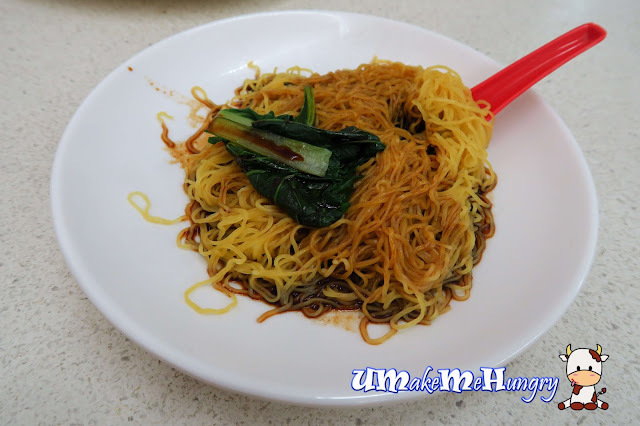 In the same fashion like the Mee Kia, Kway Teow was soaked in the soy sauce too. It is light and flavourful and not clumping up in a mass. Dumplings in clear broth comes in 2 sizes, $3 or $5. We had the latter and shared among ourselves. 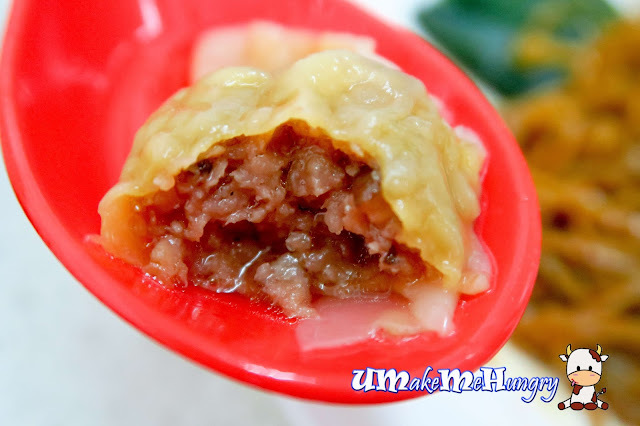 Each and every of the dumplings filling were well encased and tightly dressed up in its skin. Let's bite on it and taste the difference. Taste was out of the ordinary and on a salty side. However, the dumplings were still rather special as the minced meat were pretty dark in color, most probably coated in dark sauce. Taste was rather distinctive with mushrooms, pepper, sesame oil and black fungus as ingredients. 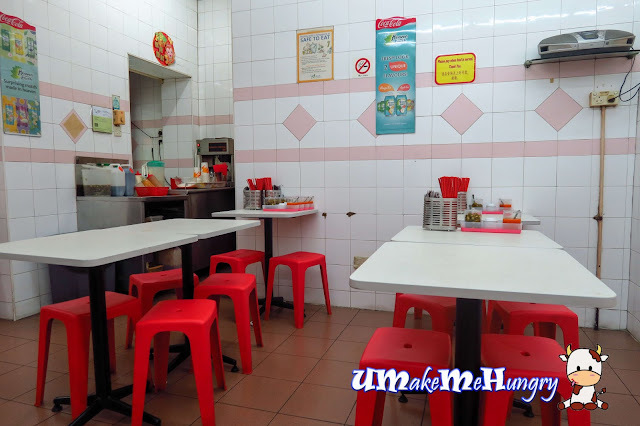 Even though I have not visited their siblings Noodle House for long time, I find that the food here is more on the saltier side while Chew Kee's is more on a sweeter side. Looks like I have to make a trip down to Chew Kee Noodle House and have a bite again.